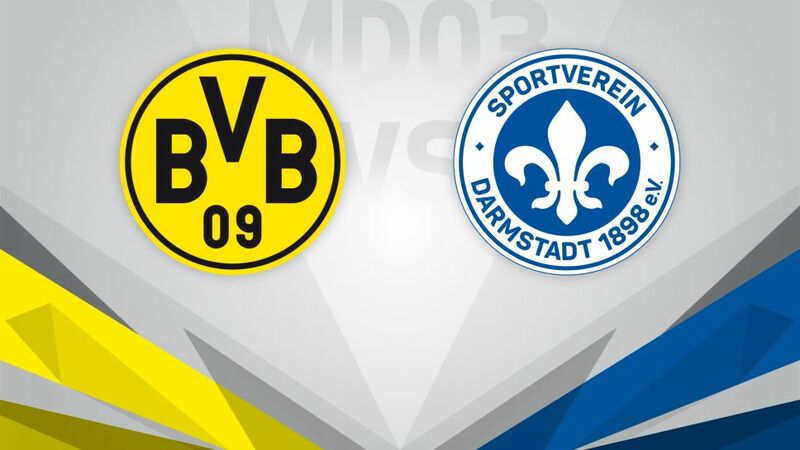 Borussia Dortmund will be out to avenge a shock 1-0 loss at the hands of Bundesliga new boys RB Leipzig as they entertain SV Darmstadt 98 at SIGNAL IDUNA PARK on Saturday (kick-off 15:30 CEST / 13:30 GMT). Pick your ideal Matchday 3 line-up with the Official Fantasy Bundesliga! The hosts will be desperate to get back to winning ways on Saturday, and avoid losing touch with their title rivals at the business end of the Bundesliga table. Mario Götze made his first appearance since joining from FC Bayern München in the summer last week - and found the net in the 6-0 win against Legia Warszawa in the UEFA Champions League in midweek - but BVB were undone by a late goal from Naby Keita at the Red Bull Arena. Darmstadt left it late to earn the bragging rights in last weekend’s Hesse derby against Eintracht Frankfurt, but substitute Sandro Sirigu came up with the goods in the 90th minute, to give Die Lilien their first points of the season. Another win would see Norbert Meier's side leapfrog their opponents and move up into the top half of the table.